I first played the original on a Sega Genesis emulator. I was about 17 years old and, unfortunately, hadn’t discovered this in my youth. I liked the randomly generated landscape and the quirky characters you ran into. I don’t know if my younger self, who was solely focused on playing Super Mario World, would have appreciated the hip alien rappers though. 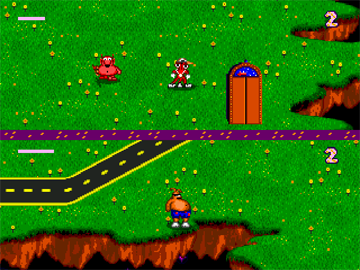 The Toejam and Earl I remember. Greg Johnson, one of the original creators of the game, is the one heading this reboot for the PC. He promises that the same things that made us love the classic will be back, including randomly generated levels, our favorite earthlings (including some new characters), and a nice top-down view. Johnson really took the time to listen to what players liked from each Toejam and Earl installment and make sure the best elements get put into the new version. So what do you get for donating? $15 gets you a copy of the game, along with a heartfelt “thank you” in the credits. Hoodies, T-shirts, figures, and keychains are also offered. If you’re feeling really generous, you can even earn dinner with the creator and a tour of the studio. One of the coolest rewards, in my opinion, is the opportunity to become a helpful earthling character in the game. In addition to a slew of jammin’ rewards, the Kickstarter has also set up stretch goals. 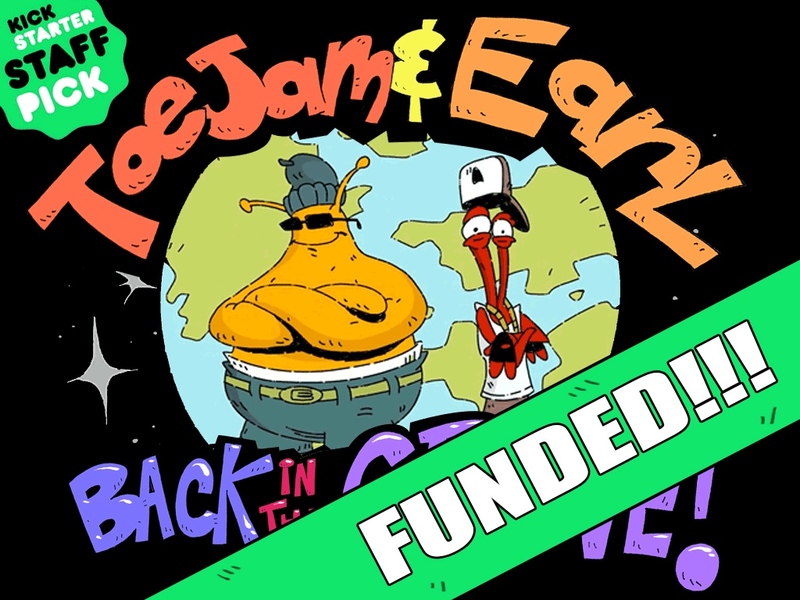 Once they exceed $425,000, for example, they’ll be adding in old school skins for Toejam and Earl. Other stretch goals include more playable characters and the ability to play the game on different systems. If this game touched your heart as a child with its funky beats, consider donating to help the Kickstarter reach one of its stretch goals! You can also check out their Facebook. A bit of both. They’re taking all of the best elements from the old games and combining them into a new version. Although, it seems that you don’t need to play the old versions to enjoy the new game. Wouldn’t that be awesome? That would definitely be a trip down memory lane.